Originally, the medieval bestiary, or book of animals, set out to establish safe distinctions—between them and us—but Ted Hughes’s poetry works always in a contrary direction: showing what man and beast have in common, the reservoir from which we all draw. 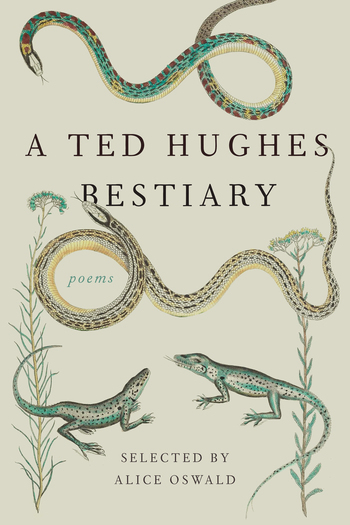 In A Ted Hughes Bestiary, Alice Oswald’s selection is arranged chronologically, with an eye to different books and styles, but equally to those poems that embody animals rather than just describe them. Some poems are here because, although not strictly speaking animal, they become so in the process of writing; and in keeping with the bestiary tradition there are plenty of imaginary animals—all concentratedly going about their business. Ted Hughes (1930–1998) was born in Mytholmroyd, England, and produced more than forty books of poetry, prose, drama, translation, and children’s literature. His first book, The Hawk in the Rain, was published in 1957, and his last collection, Birthday Letters, was named the Whitbread Book of the Year in 1998, also winning the Forward Prize and the T. S. Eliot Prize. He was appointed the Poet Laureate of the United Kingdom in 1984. Alice Oswald lives in Devon and is married, with three children. Dart, her second collection of poems, won the T. S. Eliot Prize in 2002. Her most recent collection, Memorial, was awarded the 2013 Warwick Prize for Writing.